To be released on null. We are not yet accepting orders for this product. If you add this item to your wish list we will let you know when it becomes available. 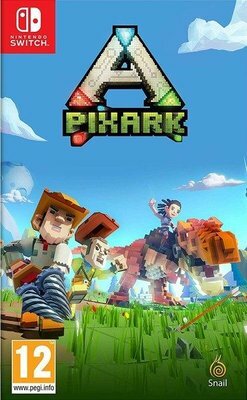 Welcome to PixARK, a vast, wild world filled with vicious dinosaurs, magical creatures and endless adventure! To survive in this mysterious land, you must tame creatures both ferocious and cuddly, craft high tech and magical tools, and build your own base out of cubes. With a robust character creator, an infinite number of voxel based maps and procedurally generated quests, your PixARK adventure will be completely unique. Team up with friends to form a tribe, or play on your own. Spend your time building a towering fortress or go on a quest in a sprawling cavern. Fly on the back of a dragon and smite your enemies with a magic wand, or ride a mighty T-Rex and blast your foes with a rocket launcher. In the world of PixARK, how you play is up to you - as long as you survive!.